Selling your home in Austin and the surrounding Central Texas communities requires education and experience. Markets in Austin are local, each with its own unique appeal and amenities. I am often called the ‘house matchmaker’ because I know how to market individual properties to attract specific buyers. Every home has a story and becomes its own brand. My 25 years of experience in marketing has provided me with the tools to tell your home’s story and the resources to sell your home – not just list it.I am a REALTOR and GRI, which means I have pursued my real estate education beyond what is required to obtain a real estate license. Only 10% of licensed agents have a GRI designation, which has provided me with a greater level of knowledge in market analysis, negotiating contracts and advertising. Do you know that 90% of homes buyers start their search on the internet? My marketing efforts don’t just include placing a sign in your yard and sending postcards. I use the latest tech savvy tools to reach the greatest amount of buyers in the shortest amount of time. Marketing tools and services I can provide include. • Share listings in the Multiple Listing Service with professional photography and virtual slide shows. 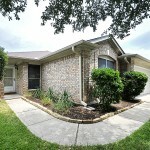 • Featured Blog about your home on my personal SupportLocalAustin.com Real Estate website and office websites. • Smart phone text messaging allows for buyers to look up my properties right on their phone and view pictures and information. • Share my listing with other agents in my office at monthly company meetings and email fliers to Austin Board of Realtors members. • Feature your home on trade association websites including REALTOR.com and AustinHomeSearch.com. My unique properties have been featured in The Week Magazine, the Austin American Statesman and ModAustin.net.